How Clean Is The Air In Your Home? And, Is It Affecting Your Fertility? If you’ve been following me for any amount of time you know how I feel about environmental toxins– they are serious health dangers. I consider it one of my primary missions in spreading health information to educate as many people as I can about how the chemicals in our environment and the pollutants in our air can seriously harm our health (and therefore, our fertility). That’s why one of the first recommendations I (as well as the EPA) make for families who want to live a healthier lifestyle is to invest in a portable, high-end air purifier. Having a house full of allergy sufferers this time of year is generally not a pleasant experience. Historically Fall and Spring are the worst for my family. Both my husband and son suffer from seasonal allergies as well as asthma. While I can’t do anything for the outdoor allergens, I can do my part to keep inside our home allergy free. That means constant dusting vacuuming and cleaning to combat indoor allergens. I make sure to change out the filters in our heating system and anything else I can do to minimize the allergens in our home. 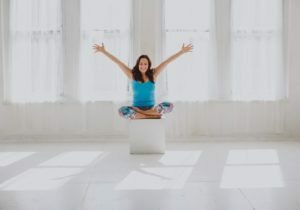 For years, I’ve overlooked the air in our home, not realizing that I could make a change for the better there as well. I was recently introduced to Intellipure and after learning more about the company and what they offer, I knew this is just what my family needed. As winter approaches, many of us are getting our home maintenance done to prepare for the cold weather. And to prevent cold air coming in and to save energy, you might seal holes or cracks, caulk around the window frame, place draft dodgers on the window sills, wrap window air conditioners, and replace old sealants around the door frames. And some of you may even keep the windows shut entire winter in trying to keep your energy cost down. But if you’re like most Americans and spend over 90% of your time in your home and the car, you will be exposed to indoor air pollution. And by sealing your home airtight for the winter, you just vacuum sealed the pollutants inside too. 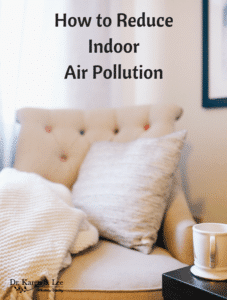 Studies have shown an unfortunate connection between health problems – like Asthma and cardiovascular problems – and indoor pollution. So what should you do? Here are five tips on how to reduce indoor air pollution. But first, some facts on indoor air pollution.